‘To enable others to thrive is a worthwhile pursuit for any business,’ says Henry Dummer, Group Chief Marketing Officer at Bank of Ireland. Bank of Ireland’s new brand platform and advertising campaign, ‘Bank of Ireland Begin,’ was launched online, on TV, in cinemas, on billboards and in branches on 4 March. 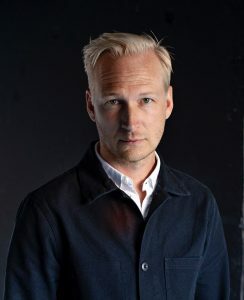 Swedish director Tomas Jonsgården, working with Dublin-based creative agency TBWA, was trusted with bringing the new ads to life. Was there a single moment that inspired you to begin your role as a director? I recall a specific moment when I was a mini Jonsgarden. It was a late evening at my grandparent’s house and all my cousins were gathered for a sleep over. I remember I was telling them a story that I made up in the same moment as I was telling it. It turned into a suspenseful story that kept my cousins up all night. My grandparents weren’t happy. But in that moment I realised the power of storytelling. Tell me a little about how your work and role has developed from there. Later in school I did a series of movies on VHS together with my friends. We were both in front of the camera and behind. It actually turned into a quite successful couple of short films and I remember we had screenings for our friends and families. I always knew that I wanted to work with something creative, and my way to directing went through music and still photography. I can see from your work that you seek out moments of human connection –why are these moments important to you? In all my work I’m trying to find those moments of humanity that make us connect with a story. Film is about making people emotionally involved and feel empathy for the characters. That’s why the film medium is so powerful in advertising when you have to set the brand into an emotional context. When you were approached to direct this ad, what was your starting point? I always want to understand what the task is. What is the purpose of the ad? And the most important question: what should the viewer feel like when they have seen it? That’s my starting point, and from there I’m trying to create an atmosphere and tone that’s suited for the specific ad and brand. How do you understand ‘Begin’ – what does it mean to you? There’s something so simple and powerful about this idea of ‘Begin’. So often, we seem to define our lives in terms of achievements, or endings. Buying a house. Having a child. Passing a test. Creating something. Tasks completed. But a journey can only end if we have the courage to begin it, and of course every ending is itself a new beginning. This means different things to all of us. Not all beginnings are exciting. Some are painful. Some are nerve wracking. But we have to face them all the same. This is life. And it’s beautiful. Why did you choose to tell the ‘Begin’ story with multiple narratives? The multiple narratives was in the original brief from the agency (TBWA). To show life’s all different beginnings – both small and big. And also to show a range of people from all over Ireland. But instead of lining up a bunch of vignettes in a row I wanted to make a more intriguing way of telling the story. My aim was to grab the viewers’ attention in the opening sequence and then make a more of a non-linear structure where all the people felt connected in somehow through the visual device of eye openings. I wanted to create a flow of moments that led up to an emotional climax and ended on a sequence of people’s eyes. When you see a close up of a face you immediately draw your interest to the eyes. In the eyes you project your own feelings – everything from fear to happiness and excitement. You’ve worked with the world’s largest brands, how did you like working in Ireland? I really like working in Ireland. It’s like working back home in Scandinavia. It’s very collaborative between the director and the agency. Here it’s okay to take a script and develop it further, to push it and make it better and better during the process. That would rarely happen in the US where everything has been tested ten times before a director is being attached to a project. By then everything is already locked. I also like the fact that you as a director are able to discuss ideas directly to the client. In other parts of the world that would be completely precluded. In an era of scepticism, do you feel that ads can still connect emotionally with people and be trusted by them? Definitely! But you have to be smarter today, and honest. You can’t do advertising in the same way that you did before. The young generation won’t dig into that. They are sceptical, and I understand that. When you take some of people’s precious time you have to give something back. You have to entertain or show something that is relevant to people. That’s the key. And that’s why we see advertising and entertainment are merging today. To learn more about Bank of Ireland, Begin click here.